A fast growing community like Lake Ridge is not only abundantly exquisite with natural beauty, plants and trees, but encompasses other important aspects for homeowners, such as safety, security and plenty to do for you and your family. If you’re one of the many fulfilled homeowners who live in the Lake Ridge area, you understand the importance of having a beautifully kept lawn and a reliable lawn and garden service you can trust. 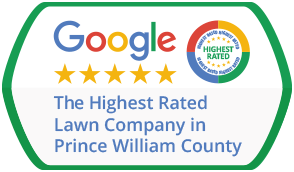 Precision lawn care in Lake Ridge VA is a progressive lawn care company who are just as involved in seeing the Lake Ridge community continue to prosper within our region as you are. We couple the latest advances in equipment, techniques and garden and lawn care products with the expertise of our lawn technicians. We carry that same expertise in business to you through our work and the lawn care services we provide that help your garden remain healthy, sparkling and vibrant. In order for plants, shrubs, trees and lawns to remain healthy and thriving year round, they need routine monitoring. When signs of rot, disease or insect infestation begin to plague your foliage, immediate detection will bring early treatment, and pests are controlled and eliminated. The Lake Ridge VA lawn maintenance service you use should be top-notch and equipped in keeping abreast of all your gardening hot spots and needs. Precision Lawn & Landscape’s careful attention to these details and commitment in targeting potential problems before they become costly has won the trust of our valued customers. Seeing your garden bloom and thrive is the goal of all the lawn care technicians and staff at Precision. Call us today and we’ll do a free garden and lawn inspection and provide you with an estimate of our services. Your lawn is only as lush and vibrant as the lawn care team who care for it. With Precision’s help, we’ll keep your lawn and garden exquisite.